Alberta climate scientists say they hope a new report with a dire warning is taken seriously by Canadians. A new study, commissioned by Environment and Climate Change Canada, revealed that Canada is warming at twice the global rate, spelling trouble for this vast country that borders three oceans. Northern Canada, the study found, will heat up at almost three times the global average, and that already, the country is experiencing increased precipitation — especially in winter — as well as water supply shortages in the summer, and "extreme fire weather." "I have to believe that we'll, some time soon, start to change the curve on this and bring us into some sort of new balance," University of Calgary climatologist Shawn Marshall said Monday. "Because the further we go in this direction, the harder it's going to be to right the ship." The study, Canada's Changing Climate Report (CCCR), was scheduled to be released Tuesday. However, the government report was leaked to CBC News columnist Neil Macdonald on Monday. Marshall reviewed early drafts of the CCCR, and said it illustrated how much the evidence has accumulated in recent years. The planet is projected to warm an average of three degrees this century, he noted. Now think, he said, of what would happen if Canada's average warming is double that. "This might mean five or six degrees for Canada — and eight or nine degrees for the Arctic," Marshall said. "This would be similar to the kind of temperature changes that take you in and out of ice ages. "So I think this is a fairly strong signal, a strong warning." Climate change and warming will affect the amount of precipitation across the country. It's also predicted to increase the risk of flood, extreme weather events such as coastal tropical storms. Warming will contribute to drought and wildfires, and intensify the severity of heat waves, the report said. The report stressed that "the human factor is dominant" in the cause of climate change, specifically pointing to greenhouse gases. "If we reduce emissions, then things like trees and the ocean will gradually pick up the extra CO2 that's in the atmosphere," Marshall said. "That would stabilize the planet and it's probably the only long-term solution I can imagine right now." He said it would require a "generational shift" over about 30 years away from carbon-emitting fuels. In Alberta, where voters are poised to head to the polls in two weeks, researchers and government officials have pointed to evidence that this province has faced climate change-related consequences. A review of the Fort McMurray fire, conducted by MNP LLP for Alberta Agriculture and Forestry, warned wildfires will become more intense and frequent. 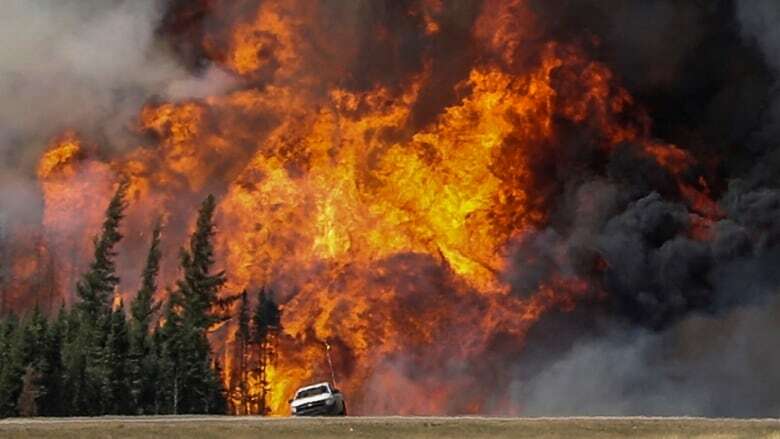 The report noted that Alberta is in for a challenge as the areas susceptible to fire are also home to communities with thousands of people, infrastructure from electricity lines to pipelines, and industrial camps housing thousands of workers. Action to deal with climate change has been in the public discussion this election season, with political parties offering quite different approaches to balancing the energy-reliant economy with the realities of climate change. The NDP continues to push its Climate Leadership Plan and carbon levy, while the United Conservative Party pledges to scrap the tax and cut back funding for renewable energy projects. Alberta will see a difference as climate change progresses, warns Maribeth Murray, executive director of the Arctic Institute of North America. She noted that where she lives in the province, farmers and ranchers have struggled with the increased dryness. "This is a serious national and global challenge," she said. "And my understanding of the scientific evidence, including the science that I do myself, is that we should be taking serious, rapid action." Murray, who studied climate change in the North for 20 years, said this latest government report is consistent with others issued in Canada and globally.